President Clinton, unsure of how far China would go, deployed the USS Nimitz aircraft battle group into the Taiwan Strait to deter any Chinese escalation. 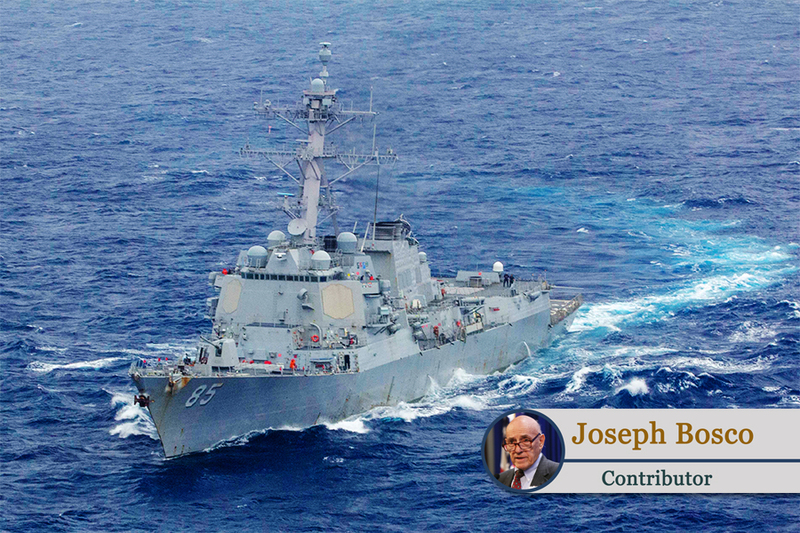 This was the first time the United States Navy had entered the Strait since President Richard Nixon pulled the Seventh Fleet out in 1972 as a goodwill gesture prior to his historic visit to China. 2. What if, when the Chinese military officers confronted Mr. Nye, he had invoked the Taiwan Relations Act, said Taiwan’s security is in the U.S. national interest and we will defend it under all circumstances? 3. What if, when Beijing threatened a “sea of fire,” Clinton had called its bluff and sent the two carriers into the Strait? Shocked U.S. officials, supported by academic and think tank experts quickly got the administration to “clarify” that nothing had changed. A similar reaction occurred when President Trump took a congratulatory call from President Tsai Ing-wen and said he didn’t feel bound by the one-China policy. First published in Taiwan Insight.